The popularity of the sharing economy for summer travel booking has tripled within two years, with 50 percent of travelers likely (26 percent very/ 25 percent somewhat) to use services like Uber, Lyft and Airbnb this year compared to 36 percent in 2016 and 17 percent in 2015, according to the third annual Allianz Travel Insurance Sharing Economy Index released today by Allianz Global Assistance USA. The first year-on-year survey to track consumer confidence in the sharing economy market for travel planning showed that this growth correlates with the uptick in familiarity with these services. As the years have progressed, familiarity has significantly increased across all sharing economy services with Airbnb showing 51 percent (up 32 percent from 2015) familiarity among Americans and Lyft (56 percent; up 41 points from 2015) having seen the largest increase in familiarity. Other services are also doing well with familiarity including Uber (73 percent/ up 38 percent from 2015), HomeAway (30 percent/ up 20 percent from 2015), Feastly (16 percent/ up 12 percent from 2015) and GetAround (18 percent/ up 11 percent from 2015). While familiarity and likelihood of using sharing economy services have risen significantly since 2015, fewer than two in ten (17 percent) Americans are willing to say they are "very trusting" of services, leaving the majority (83 percent) at least somewhat skeptical (48 percent somewhat trustworthy/ 13 percent not very trustworthy/ 5 percent not at all trustworthy/17 percent not sure). 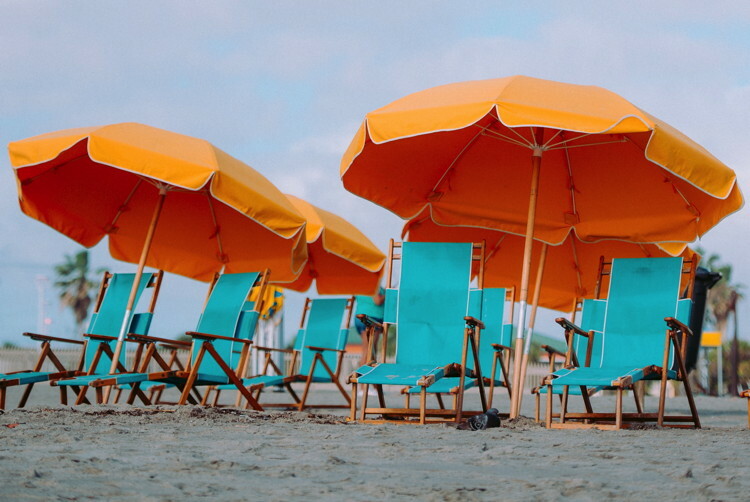 "In the years that we've conducted the Sharing Economy Index, it has been incredible to see the significant growth in familiarity and use of sharing economy services for summer travel," said Daniel Durazo, director of communications at Allianz Global Assistance USA. "We're seeing more and more travelers, especially millennials, utilizing services like Airbnb because they are seeking value and a locally authentic experience." When pitted head-to-head with traditional travel services, the sharing economy is seen by Americans as the better value (35 percent; up nine percent from 2016) and provides a more authentic local experience (33 percent; up 11 percent). While traditional services still outperform the sharing economy when it comes to customer service, for many Americans, the experience is the same, regardless of which service is being used. A full infographic highlighting the survey's findings is available for download. The Sharing Economy Index has been conducted each summer since 2015 by national polling firm Ipsos Public Affairs on behalf of Allianz Global Assistance USA. Methodology: These are findings of an Ipsos poll conducted on behalf of Allianz Global Assistance. For this survey, a sample of 1,009 Americans from the Ipsos I-Say panel was interviewed from May 3rd to May 5th, 2017. The precision of online polls is measured using a credibility interval. In this case, the results are accurate to within +/- 3.5 percentage points, 19 times out of 20, of what the results would have been had all American adults been polled. Quota sampling and weighting were employed in order to balance demographics and ensure that the sample's composition reflects that of the actual U.S. population, according to data from the U.S. Census Bureau. Credibility intervals are wider among subsets of the population.